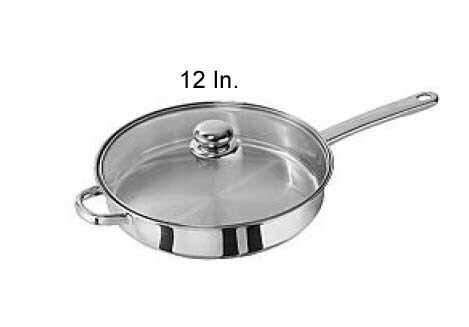 Classicor cookware features the highest quality 18/10 stainless for durability and fast, easy clean up. Clear tempered glass lids allow for viewing during the cooking process. 12in. Covered Chicken Fryer.